2018 has become a year of blockchain: businesses and governments are actively integrating the technology into their operational processes. However, distributed ledgers are appropriate not for every company, and managers can lose money in the pursuit of innovations. 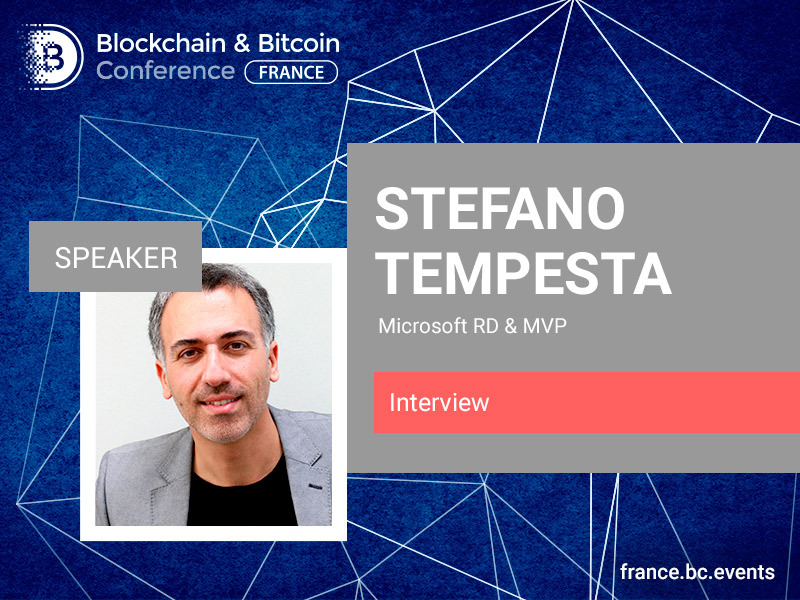 Stefano Tempesta, Regional Director at Microsoft and a speaker at Blockchain & Bitcoin Conference Paris, reveals what benefits blockchain can bring to businesses and how to integrate it in order to success. BTCP: Blockchain followers often call for total freedom. So, is blockchain more a technology or an ideology? S.T. : Some people see at blockchain, with its decentralized structure and no central ownership, as a way to their freedom of speech and expression, which is otherwise, allegedly being affected by the centralised nature of the web. Bitcoin, in Satoshi Nakamoto’s words, was created in anger at the current banking system. The message “he” wanted to send was that centralization of money is destructive and the only solution to this problem would be a truly brand-new decentralized monetary system. Bitcoin did not only solve a technological problem, but was rather a solution to more philosophical and ideological questions. It managed to create a system that lacked a central authority, while still being able to regulate itself and provide advantages to those willing to take part in it. It regulated a decentralized system while still guaranteeing its users freedom and liberty. It is technology applied to ideology. The ideology of a better world where blockchain represents a possible alternative to a centuries-long diatribe, regarding the division of power between a central authority and those who are ruled by it. BTCP: Blockchain is able to provide digital identity, document verification, and supply chains. Why is it used to solve such a huge amount of tasks? And why is it better than a centralized database? S.T. : With blockchain, we can imagine a world in which identities and documents are embedded in digital code and stored in transparent, shared databases, where they are protected from deletion, tampering, and revision. In this world every agreement, every process, every task, and every payment would have a digital record and signature that could be identified, validated, stored, and shared. Intermediaries like lawyers, brokers, and verification institutions might no longer be necessary. Individuals, organizations, and machines would freely transact and interact with one another with little friction. To appreciate why it’s better that a centralized database, we need to understand how blockchain works. In a blockchain system, the ledger is replicated in a large number of identical databases, each hosted and maintained by an interested party. When changes are entered in one copy, all the other copies are simultaneously updated. So as transactions occur, records of the value and assets exchanged are permanently entered in all ledgers. There is no need for third-party intermediaries to verify or transfer ownership. If a transaction took place on a blockchain-based system, it would be settled within seconds, securely and verifiably. Blockchain technology is like the Internet in that it has a built-in robustness. By storing blocks of information that are identical across its network, a blockchain node cannot be controlled by any single entity, has no single point of failure and it provides built-in security by offering a cryptographically secure data structure. This makes it suitable to different types of applications also besides fintech and crypto currency. BTCP: What financial benefits can a company obtain, applying distributed ledger technologies? S.T. : I can think of three immediate financial benefits for businesses when blockchain-based solutions are properly implemented. To start with, I’d say protection of Intellectual Property. As is well known, digital information can be infinitely reproduced and distributed widely because of the internet. This has given web users globally a goldmine of free content. However, copyright holders have not been so happy, losing control over their intellectual property and suffering financial loss. Smart contracts in a blockchain network can protect copyright and automate the sale of creative works online, eliminating the risk of file copying and redistribution. Another intrinsic benefit of smart contracts and the immutability of blockchain networks is in the opportunity to reduce cost and time related to payment disputes, by allowing involved parties to agree contracts that force them to move through a certain checklist before being paid. The most important thing blockchain will do in such a situation is ensure that all parties to a transaction are in agreement with one another about its status and their obligations. Lastly, and probably less obvious, is the possibility to have a distributed file storage. Decentralizing file storage on the internet brings clear benefits because distributing data throughout the network protects files from getting hacked or lost. Have a look at the Inter Planetary File System (ipfs.io), which makes it easy to conceptualize how a distributed web might operate. Similar to the way BitTorrent moves data around the internet, IPFS gets rid of the need for centralized client-server relationships (i.e., the current web). An internet made up of completely decentralized websites has the potential to speed up file transfer and streaming times. BTCP: What are the most common mistakes of companies when integrating blockchain into their business processes? S.T. : I’ll go “against the flow” in my answer here. Blockchain-based ledgers are less efficient than existing databases, if applied to the wrong context. When someone says they are running something “on a blockchain” what they usually mean is that they are running one instance of a software application that is replicated across many other devices. The required storage space and computational power is substantially greater, and the latency higher, than in the case of a centralized application. Blockchains that incorporate “proof-of-stake” or “zero-knowledge” technologies require all transactions to be verified cryptographically, which slows them down. Blockchains that use “proof-of-work,” as many popular cryptocurrencies do, raise yet another problem: they require a huge amount of energy to secure them. So, what are we doing wrong” First of all, blockchain technology is still in its infancy, comparable to the internet of 20 years ago. Low speed, huge costs. But a great potential. Before starting a new blockchain project, always ask yourself the following questions, which can determine if blockchain is appropriate for your business scenario: Do multiple parties share data? Is there a requirement for verification of information? Can intermediaries be removed and reduce cost and complexity? 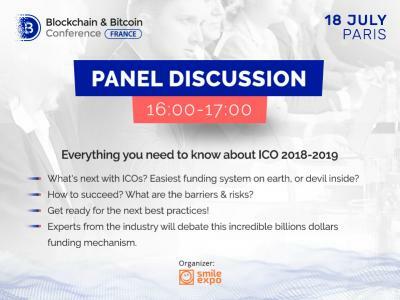 If you answered yes to all of these questions, then you have a potential scenario to apply blockchain. Otherwise, probably blockchain is not the best technology to use in this case. BTCP: What other application sectors, besides fintech, will use blockchain in the near future, and will they get accustomed to it? S.T. 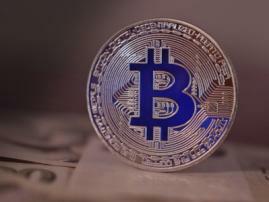 : According to market analysts and leading consulting firms, the top five industries that blockchain will likely disrupt by 2020 are financial services, government, real estate, supply chain management, and media distribution. Microsoft has also shared an insight of industries of their customers on Azure that are also experimenting with Blockchain. There are financial services institutions, including insurance companies, travel and transportation, retail, power and utilities, and others. Financial organizations, for example, can use blockchain to redesign high-cost legacy workflows. This helps reduce infrastructure costs, increase transparency, minimize fraud and improve execution and settlement times. Retail and manufacturing can benefit of an improved supply chain management, smart contract platforms that assess state of goods, and transactions made in digital currency. I can think, also, of industries like healthcare or travel for removing intermediaries and third-party verifiers, protect medical records and, in general, provide fast, security-enhanced and authenticated access to information across organizations and geographies. BTCP: A lot of people are sceptical about the reliability of the technology. Besides, there was a situation when more than $50 million dollars was stolen from “The DAO”, a decentralized investment fund based on the popular blockchain platform Ethereum. How will blockchain help in cyber security issues and protect from hackers? S.T. : One of blockchain’s benefits is its inherent resiliency to cyber-attack. While not immune to all forms of cyber risk, blockchain’s unique structure provides cybersecurity capabilities not present in traditional ledgers and other legacy technologies. For example, the distributed architecture of a blockchain increases the resiliency of the overall network from being exposed to compromise from a single access point or point of failure. Consensus mechanisms improve the overall robustness and integrity of shared ledgers, because consensus among network participants is a prerequisite to validating new blocks of data, and mitigates the possibility that a hacker or one or more compromised network participants can corrupt or manipulate the ledger. Blockchains also provide participants with enhanced transparency, making it much more difficult to corrupt transactions through malware or manipulative actions. Finally, blockchains hosted on a cloud platform, such as Microsoft Azure, feature even greater cybersecurity protections due to the platform’s access controls and many other protections. 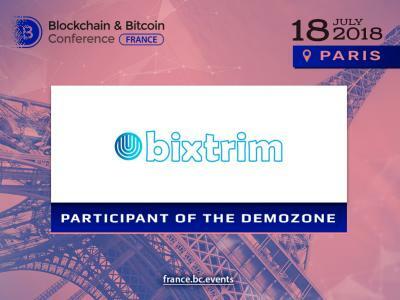 BTCP: What will your presentation at Blockchain & Bitcoin Conference France be dedicated to? S.T. : I’m presenting the evolution from Bitcoin, the traditional transaction-only public blockchain, to “Blockchain 3.0”, an enterprise-ready blockchain that scales, provides governance, and can access on- and off-chain data. All attributes that are essential to businesses and have to be addressed if we want blockchain technology to be adopted in the enterprise space. Tools like Azure Blockchain Workbench, presented in my session, enable customers to adopt and get started with blockchain technologies in days, rather than in months. Building a complete solution running on blockchain typically requires provisioning infrastructure and developing a client application, writing and deploying a gateway API, implementing support for off-chain storage, writing logs and reports, and integrating identity and key vault services into the solution. These are just a common set of challenges related to blockchain app development that are addressed by Azure Blockchain Workbench, which dramatically reduces the amount of time needed to build a blockchain solution. My call is for you to focus on writing your smart contracts, on building on the logic for your business processes running on a blockchain, and leave the management of the necessary infrastructure to Azure Blockchain. 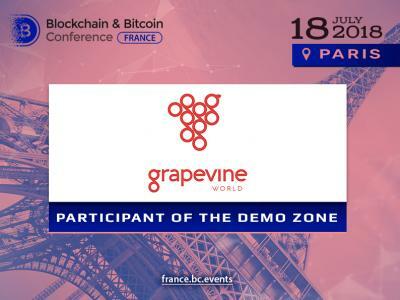 Blockchain & Bitcoin Conference France. We're sure that blockchain will become as commonplace as the Internet and smartphones.